Emmy Award-winning composer Steve Heitzeg is recognized for his orchestral, choral and chamber music written in celebration of the natural world, with evocative and lyrical scores frequently including naturally-found instruments such as stones, driftwood, Joshua Tree branches, manatee and beluga whale bones and sea shells. An advocate for the “peaceful coexistence of all species through music,” Heitzeg has written more than 150 works, including compositions for orchestra, chorus, chamber ensemble, ballet and PBS films. His music has been performed by leading orchestras and ensembles, including the Auckland Philharmonia, Atlanta Symphony Orchestra, Chanticleer, Daedalus Quartet, the Dale Warland Singers, Des Moines Symphony Orchestra, Detroit Symphony, Houston Symphony, James Sewell Ballet, Minnesota Orchestra, The Philadelphia Orchestra, members of The Saint Paul Chamber Orchestra, Stavanger Symphony Orchestra, VocalEssence and Zeitgeist, as well as at the Cabrillo and Grand Teton music festivals. Conductors such as Marin Alsop, Philip Brunelle, Michael Butterman, William Eddins, JoAnn Falletta, Joseph Giunta, Giancarlo Guerrero, Sarah Hicks, Jahja Ling, Lawrence Renes, Christopher Seaman, Mischa Santora, André Raphel Smith, Joseph Silverstein, Yan Pascal Tortelier, Osmo Vänskä and Dale Warland have all conducted his works. Heitzeg has amassed a large body of works that address social and ecological issues with vision and compassion. 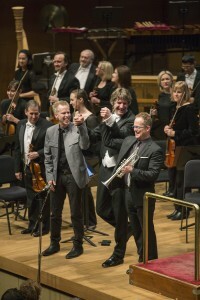 American Nomad (Concerto for Trumpet) is described by the Star Tribune as “a rumination on the American spirit: its exuberance, its loneliness, its medley of cultures, its restless ambition and grandiosity.” The 22-minute jazz inspired concerto, commissioned by Paul Grangaard, was written for Charles Lazarus, who premiered it with the Minnesota Orchestra in May 2015. “Heitzeg’s concerto . . . is so good that one is led to predict it will be played by numerous orchestras around the country,” according to the Star Tribune. Alternative percussion instruments used in the piece include an armature bar from the Statue of Liberty and Joshua Tree branches. Funded by the Minnesota Commissioning Club, I Will Be a Hummingbird is a 4-minute work for SATB Chorus, premiered by Philip Brunelle and VocalEssence at the American Swedish Institute in February 2015. The piece sets text by Kenyan Nobel Peace Prize Laureate and Greenbelt Movement Founder Wangari Mathaai, including a parable about a hummingbird “who does the best it can” to extinguish a raging forest fire. Now We Start the Great Round is a 6-minute work for chorus and orchestra commissioned and premiered by the Minnesota Orchestra in celebration of the re-opening of Minneapolis’ renovated Orchestra Hall in 2014. Long Walk To Freedom sets moving texts by Nelson Mandela (including his “I was not born with a hunger to be free, I was born free”) for SATB choir and piano. This version, premiered by Philip Brunelle and the Plymouth Congregational Church Choir in 2014, is adapted from a movement of Heitzeg’s large-scale Nobel Symphony. Social Movements, funded through an Archibald Bush Artist Fellowship, is a 30- minute ballet that explores some of the seminal social issues of our time from war and global warming to refugee and human rights. The ballet opens with a “Protest” movement, which was inspired by the sacrifice of Norman Morrison, a 31-year-old Quaker who set himself on fire in front of the Pentagon in 1965 to protest the Vietnam War. Choreographed by James Sewell, the work was premiered by James Sewell Ballet in April 2008. 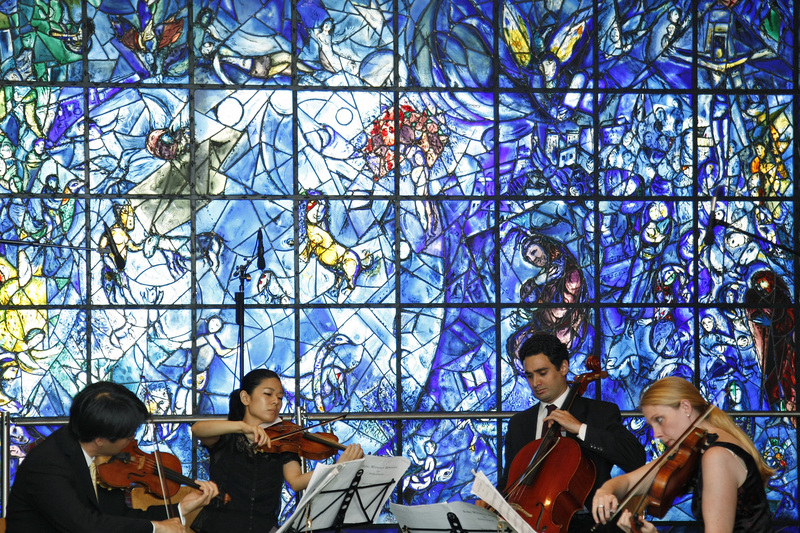 The four-movement string quartet Song Without Borders—also funded through a Bush Fellowship—is dedicated to Sergio Vierio de Mello and other United Nation’s personnel who lost their lives in pursuit of peace. 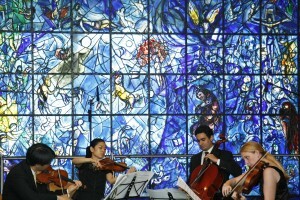 Performed by the Daedalus Quartet, the work was premiered at the UN’s New York headquarters in August 2008. Four months later, it was performed by the Iraqi National Symphony Orchestra String Quartet in Baghdad. WILD SONGS, commissioned by The Schubert Club as part of The Science Museum of Minnesota and National Musical Arts BioMusic Project, is scored for soprano, recorded bonobo vocalizations, and two percussion and was premiered in March 2007 by Maria Jette, Heather Barringer and Patti Cudd. The work features texts by Rachel Carson, Jane Goodall and Terry Tempest Williams. TOGETHER (Divided we are nothing…) sets a quote by Robert F. Kennedy for choir and orchestra. Osmo Vänskä led the work’s premiere with the Minnesota Orchestra and Minnesota All-State Choir at Orchestra Hall in February 2007. In February 2006, the Fellowship Missionary Baptist Church premiered We, Too, Rise, with text from Martin Luther King, Jr.’s Letter from Birmingham Jail. Wounded Fields, a co-commission of the Philadelphia Orchestra and Minnesota Orchestra is a string elegy Heitzeg wrote after a visit to the fields of Gettysburg. Dedicated to the victims of war and genocide, the work was premiered in 2003 by The Philadelphia Orchestra at the Kimmel Center and subsequently performed by the Minnesota Orchestra and Music Director Osmo Vänskä on a 2004 European Tour. 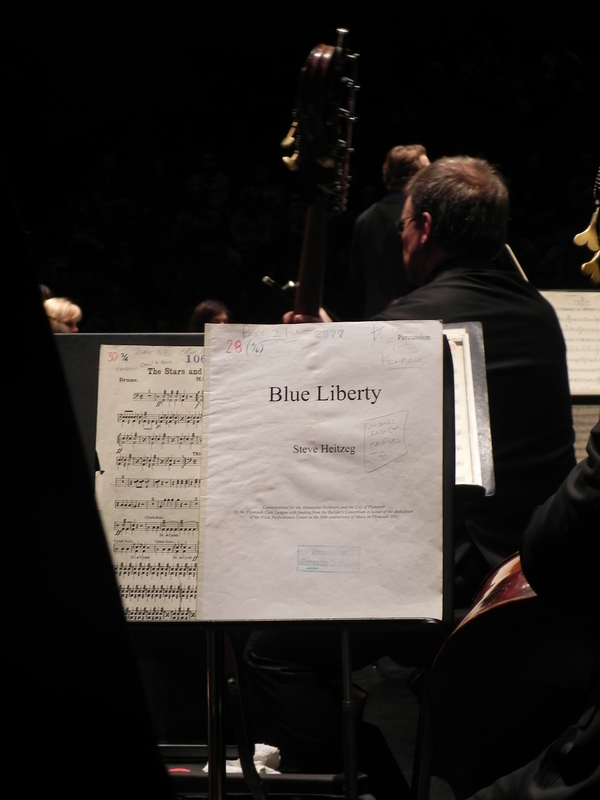 Madeline Island: Sanctuary in Blue, commissioned by the Madeline Island Music Camp for their 20th anniversary (with funding provided by Fred and Gloria Sewell) is a seven minute tone poem for string orchestra evoking the beauty of this Lake Superior Island. 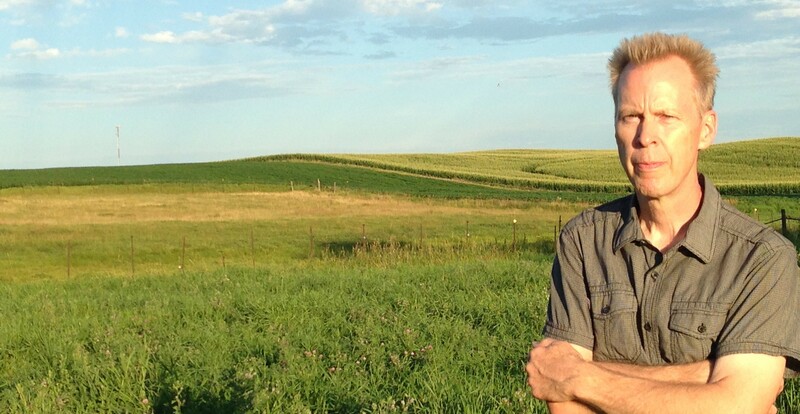 The work was premiered July 2, 2005..
His four-movement Symphony to the Prairie Farm, commissioned and premiered by Joseph Giunta and the Des Moines Symphony in 2002 and featuring farm equipment as percussion instruments, is a tribute to a vanishing way of life—the family farm on the prairie. 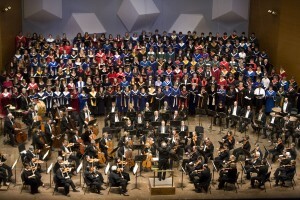 In 2001 a combined choir and orchestra of 300 at Gustavus Adolphus College premiered Heitzeg’s 75-minute Nobel Symphony. Commissioned by Gustavus to celebrate the 100th anniversary of the Nobel Prizes, the monumental work is comprised of six movements—one for each of the Prizes—that set texts by sixteen Nobel laureates, including Dag Hammarskjöld, Martin Luther King Jr., His Holiness the Dalai Lama, Nelson Mandela, Toni Morrison, Mother Teresa, Archbishop Desmond Tutu and Elie Wiesel. This “symphony for peace,” which was profiled on National Public Radio, features such instruments as Tibetan horns, olive tree branches, a plowshare and prosthetic leg limbs (a protest against war and land mines). 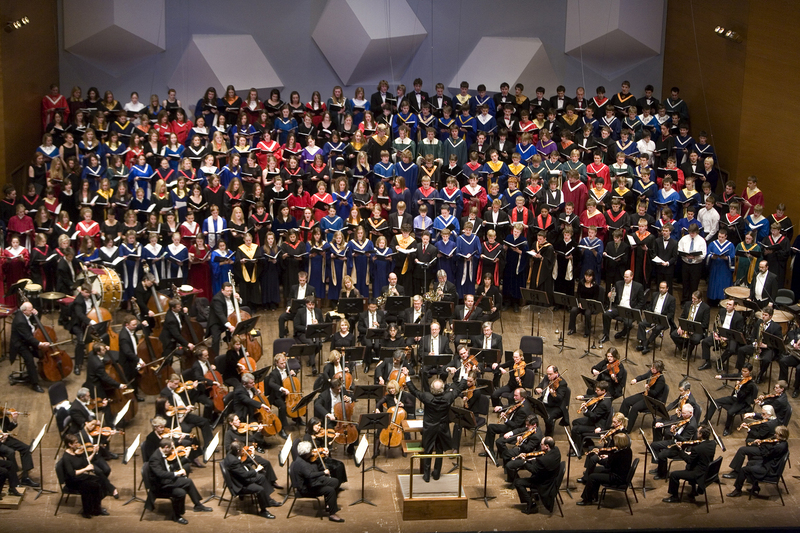 The work received its professional premiere in 2004 by Philip Brunelle’s VocalEssence in a collaboration with new media work by students and faculty of The Minneapolis College of Art and Design at Orchestra Hall, Minneapolis. Voice of the Everglades, premiered by Christopher Seaman and the Naples Philharmonic in 2000, is a portrait of environmentalist and Everglades defender Marjory Stoneman Douglas that includes a recording of manatee vocalizations paired with a string elegy. This work is now available on a recording featuring the Moravian Philharmonic Orchestra. In 2000 Heitzeg wrote What the River Says, commissioned by the Grand Forks Master Chorale to contribute to the healing of that community in the wake of the disastrous flood of the Red River in 1997. Aqua, which received its debut with JoAnn Falletta and the Virginia Symphony in 1999, commemorates the spirit of ocean explorer Jacques Cousteau. 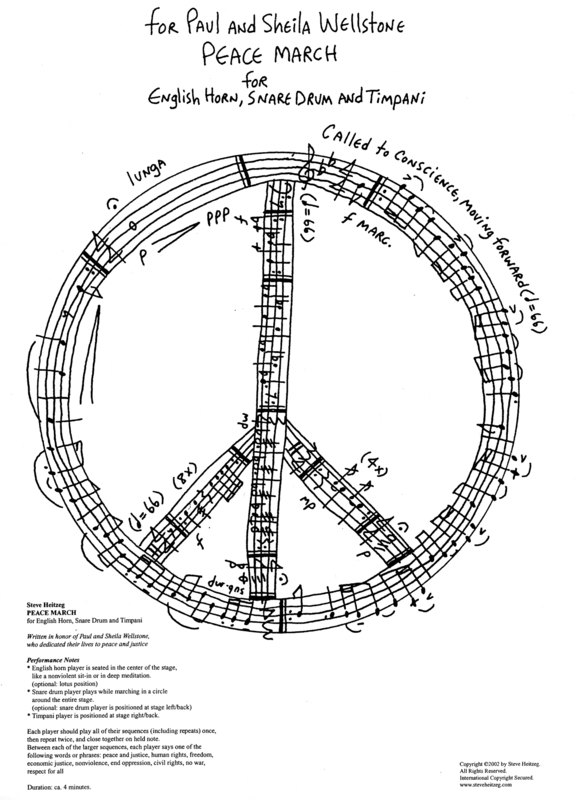 A commission from Gustavus College in 1997, Blessed Are the Peacemakers for alto, chorus and orchestra is a setting of text by Martin Luther King, Jr, Hildegard of Bingen, Saint Francis of Assisi, Dag Hammarskjöld and Raoul Wallenberg, five individuals who fought for peace and justice. Mustang, hailed as “six minutes of magnificence” by the Billings Gazette, was commissioned by the Tucson Symphony and a consortium of five other orchestras in 1996 to explore the mythology of horse power in North America–both the wild animal and automobile varieties. Percussionists play Ford Mustang hubcaps, among other special instruments, in the work. Other works include I Pray to the Birds, a work for SATB choir and children’s choir based on a Terry Tempest Williams poem performed by the Minnesota Chorale (November 2010); Peace Cranes, a fanfare for three violins premiered by Minnesota Orchestra violinists (January 2006); Blue Liberty, an orchestral fanfare written for the Minnesota Orchestra (premiered 2002); Open Spaces, a brass fanfare written for the opening of the SPCO Center (2004); and both a chamber ensemble and full orchestra version of The Tin Forest, a work for children premiered by the Minnesota Orchestra at Young People’s Concerts in 2005. Productive in many genres, Heitzeg has composed While We Breathe, We Hope (Fanfare for Obama), a work for string quintet and narrator commissioned and premiered by the Chamber Music Society of Minnesota (2009); Elegy on Water is a choral work based on a Robert Bly poem, commissioned and premiered by the Dale Warland Singers (April 2004). In 1990, the Dale Warland Singers premiered, and later recorded, one of his most widely performed works, little tree. The Minnesota Orchestra premiered Heitzeg’s On the Day You Were Born, a 20-minute tone poem based on Debra Frasier’s award-winning book of the same name, in October 1995 with actress Jane Alexander narrating. 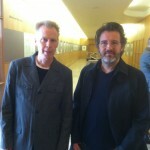 The orchestra subsequently recorded and released the work as an animated children’s video to much acclaim. The video won the Andrew Carnegie Medal for Best Children’s Video of 1997, as well as other awards, including the Oppenheim Toy Portfolio and a Parents’ Choice Award. The Orchestra issued an On the Day You Were Born CD and curriculum guide in 1997. Heitzeg received a regional Emmy Award for his original score for the public television documentary Death of the Dream: Farmhouses in the Heartland in 2000. His score for the PBS film A Marriage: Georgia O’Keeffe and Alfred Stieglitz (starring Jane Alexander and Christopher Plummer) premiered nationwide as part of the American Playhouse Series in 1991. In 2003 Heitzeg wrote incidental music for the Shakespeare Theatre’s production of Ibsen’s Ghosts in Washington D.C., starring Jane Alexander. Heitzeg’s debut recording, earthworks: music in honor of nature, was released in April 1998. 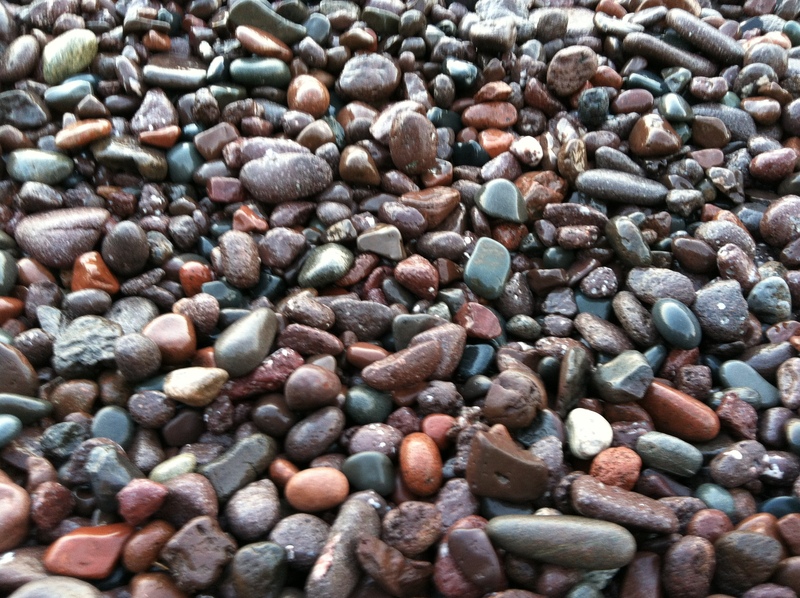 O Colored Earth, a simple plea for peace scored for children’s choir, appears on earthworks and remains one of his most performed and popular pieces. In 2004 his Voice of the Everglades was released on CD, and in 2013 the Des Moines Symphony issued his Symphony in Sculpture as a surround sound DVD, accompanied by an original film created by Blur Media Works. An environmentalist, Heitzeg has been writing ecoscores, intimate works with inventive musical syntax that seek to honor nature and promote peace, for more than a decade. 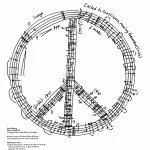 Two of these works: Peace March for Paul and Sheila Wellstone (composed in the shape of a peace sign) and American Symphony (Unfinished), ten chords that honor famous American peace activists superimposed on an “unfinished” American flag, are in the permanent collection of the The Weisman Art Museum in Minneapolis. World Piece, which featuring 192 chords in honor of each of the 192 countries in the world, will be recorded by San Francisco-based pianist Teresa McCollough in the fall of 2015 as part of her World Piece Project. Heitzeg constructs and includes naturally-found instruments in his compositions to symbolize the interconnectedness of humans with nature. 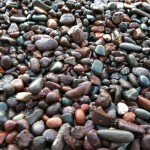 As a result, rocks and leaves appear in Enduring Earth; rain sticks in Litanies for the Living; birch bark and pine cone wind chimes in Raven and Crow: Medicine Birds; stones, an obsidian wind gong, and jade and agate-slice wind chimes in Sacred Stones (Symphony in Stone); acorns, maple seedlings and catalpa tree pods in Leaf Songs; and field stones, buffalo bones, prairie grass bundles, farm equipment (chisel plow shovels, John Deere plow moldboard) in Symphony to the Prairie Farm. More recently, he has included recorded manatee vocalizations and two manatee bones (on loan from the National Oceanic and Atmospheric Administration) in Voice of the Everglades; two Beluga Whale jawbones (also on loan from NOAA) and recorded Bonobo vocalizations in Wild Songs; penguin bones (Gentoo and Adelie penguin bones on loan from an Antarctic researcher) in the ballet Social Movements; Hula stones from Hawaii in While We Breathe, We Hope (Fanfare for Obama); and fallen Joshua Tree branches, California Fan Palm branches and beach stones from the Pacific Ocean in American Nomad (Concerto for Trumpet and Orchestra). 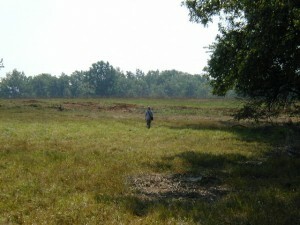 Heitzeg is the recipient of a 2005 Bush Foundation Fellowship, a 2001 McKnight Fellowship, a Meet The Composer/Reader’s Digest-Lila Wallace Commissioning Grant, an American Composer’s Forum Continental Harmony grant, Meet The Composer/New York and Midwest grants, and numerous other grants and commissions. 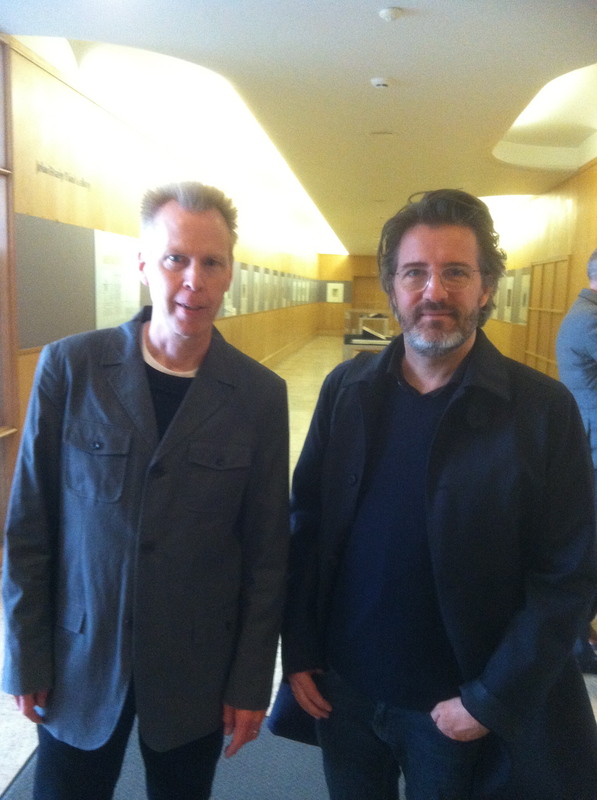 He was named Minnesota’s “Composer of the Year” in 2000 by the Minnesota Music Academy. 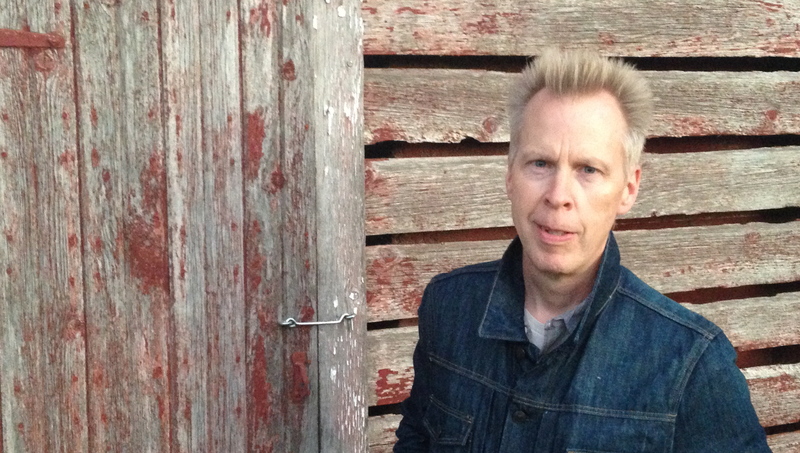 Growing up on a dairy farm in southern Minnesota, Heitzeg studied guitar and piano as a child and wrote his first compositions, including a rock opera. Following undergraduate work at Gustavus Adolphus College, he received his doctorate in music theory and composition from the University of Minnesota School of Music, studying with Dominick Argento. He has served on the board of directors of the American Composers Forum and was appointed a 1993-94 composer-in-residence at the University of Saint Thomas; he has also taught at Minnesota State University Mankato and Gustavus Adolphus College. Heitzeg now lives in Saint Paul with his wife, daughter, their Weimaraner and a calico cat.